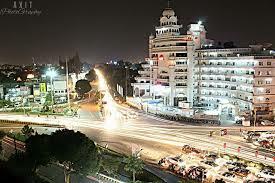 Chandigarh city forever attractive places India. "Travel tips with my eyes" I know You will see almost beautiful places. if you will not go to "Chandigarh". You will some miss because you missed the world's best Gardens, a lake, museums, a zoo, etc. Here "Travel tips with my eyes" will explain Chandigarh famous places. please subscribe to "Travel tips with my eyes". It is a unique garden hat consist of the various art objects, but the best part about the rock garden is that each of its artwork has been made by using industrial and urban waste.it is 23.6 km away from the airport of Chandigarh 1. Its opening time in summer on 1 April to 30 September is from 9 am to 7 pm. And on 10 October to 31 march is 9 am to 6 pm .its entry fee to enter in it is 40 rupee for adult and 10 for the child. Every human being is allowed to take photos. This garden is spread over the massive area of the 30 acres and is packed with an exquisite variety of the flower making it quite popular among tourist and the nature enthusiasts It is 22 km away from the airport, and its opening entry is in the morning with a time of 5 am to 6 pm. Here all the newly married couple want to spend their time with there partner .this is such a beautiful place where we can come every time throughout the year. In Rose Garden, 1000 verities rose flowers. Government museum and art gallery n Chandigarh is one of the prominent museums in India. It was established in 1947. Thithis museum is known as for its rich collection of painting art craft and sculptures its opening hour is 10 am to 4;30 pm .this museum is open all days except Monday. Its entry fee is 10 for adults. This museum allowed 5 rupees for one photograph. This zoo is the best place for the picnic, this also has the water body, and large wooded parks and jungle areas. this Chattbir zoo has 950 animals and 87 species of the birds. This zoo is 11 km away from the airport. This zoo opening time for a whole day is 9 am to 5 pm. And is closed on the 5 August, 2nd October and 26 January. This zoo entry fee is 12 rupees and tiger safari is 50 rupees .the best time to visit her collections August to march. Fateh Burj is the tallest Minar in India. 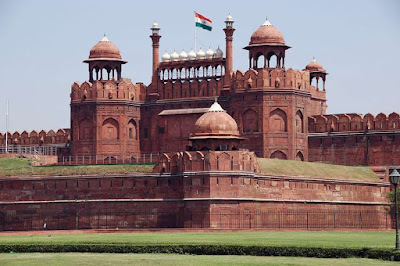 It is one of the kind memorials acknowledges the valor and the courage of the Sikhs over the Mughals in the historic battles it is 18 km away from the airport, its opening hour is 10 am to 5 pm except for Monday. This internationals dolls museum is very attractive to the tourist attraction with the collection of beautiful dolls. As many as 300 dolls collections are collected all over the world .it is 21 km away from the airport, its opening hours is 10 am to 5 pm its entry fee 30 rupees. It has more than 3500 species of cactus the garden has three greenhouses that nature rare and endangered cacti native to India, Arizonian swell as Mexican countries. 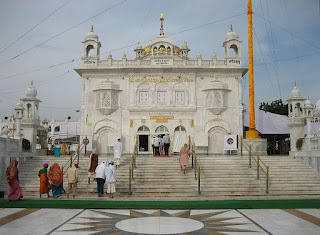 Gurudwara Nanda sahib is the historical Sikh religious place located near the Chandigarh .it is situated near the Panchkula district of Haryana at the distance from few km away from Chandigarh. 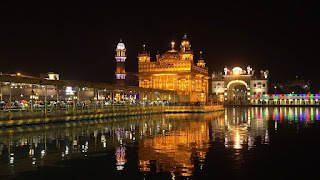 This place is named after the Nadu shah after the blessing given by Guru Gobind Singh Ji. This gurudwara is under the Shrimoni Akali dal committee. It is the place where Guru Gobind Singh Ji rested during the journey to Paonta Sahib to Anandpur sahib.there are many rooms for many pilgrims .the Sikh religious flag lies on the 105 ft up in the air from the earth .relegious gathering and community meals take place every day. On the full moon day here is a very big occasion which is attended by many people. Mata Mansa Devi temple is the Hindu dedicated temple in the memory of Mansa Devi. It is the form of Shakti, it is located in Panchkula district of Haryana in India. This temple spread over up to 100 acres .to the Shivalik foothills. It is one of the prominent Shakti temples in north India. Thousands of people visit here for the blessing of Mansa Devi. Maharaja Gopal Singh of mani Majra constructed the present main temple of Mansa Devi. This place is also very attracted to the tourist from the foreigner country. 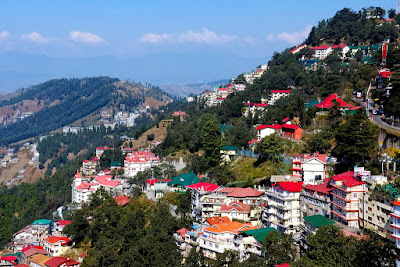 In reality, there is Morni village and tourist attraction is towards the morni hills .it is located at the height of 1,267 meters above from the ground. 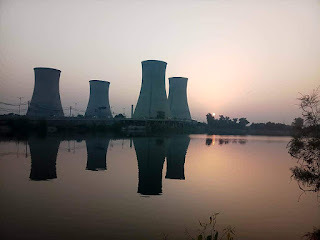 It is located in the Panchkula district of Haryana .this 45 km away from the Chandigarh.this hills is known for the Himalayan views, flora, and lakes. This place is named after the queen who had ruled in this place for many years. There is an old fort in the Morni area, the hills are covered by the pine trees and are popular trekking destination.there are two lakes situated which is commonly known by the name Bhim Taal and Tikkar Taal .which are 550 m wide and 460 m long. This place is very attractive to tourists. Sector 17 is a very famous and nice market in Chandigarh city. It is a very crowded market. This market is located in 17 F, 17 sector .this market is square type fields and it is ample with outdoor spaces, the square is nearly matinee with a lot of shade and greenish trees .and there is a lot of sitting arrangement in this sector. 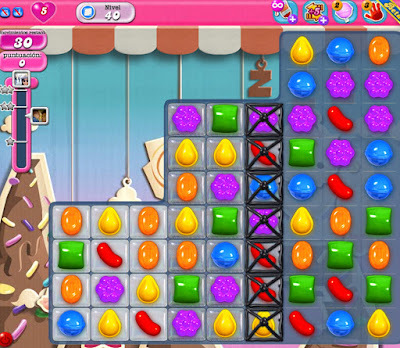 There are many shops selling merchandise from exotic branded clothing, cosmetics, kitchenware, kids toys, and many other shops which are endless .there are many good food items stuffs. In this market, there is a street restaurant serving traditional Asian food. This place is the best for those people who love always shopping and have mostly all branded things here. Fountain show in the evening is the eye catcher show off this place. This market consist of a few shops like a saloon, clinic, stationery, medical, fast food corner, repairing things shops etc. Everybody loves this place. Shastri market that market where you can get everything, if you are seasoned shopper, then this local market is the perfect place for shopping to buy anything. The entire family can buy clothes and accessories at this place. Best time to visit here is to go in midday afternoon and in the evening .this old market has several products which are sold at very low prices. You will find every fun handicraft, apparels, and gift items here, you can also buy utensils and groceries. This market is also very rich in selling branded clothes, mobile phones, and other electronic devices. This market is closed on every day except last day off Monday in the month. Shastri market is located in the 22 sectors of the Chandigarh. And this market opening timing is from 10 am to 11 pm. Elante mall is the shopping mall in the Chandigarh city in India with having the area of 1,150,000 sq ft, it is the second largest mall in northern India and 11th largest mall in India. This mall is located in the industrial area phase 1. This mall has very specialty, that specialty is that this mall produce there own electricity government does not give any electricity to this mall. This mall is spread over the 20 acres area. This place is now very attractive to the public .this mall has the retail space area of 1 million, it has two main gates, one is on the front side and the other is on the backside. It has three basement levels .this mall have 8 screen multiplex cinema hall. On top of the restaurant having the restaurant, food points, and fun city for kids entertainment. This mall deals with carnival group bought Elante mall at the price of Rs 1,785 crore in 2015 making it one of the biggest deal real estates at that time. This mall is loveable by all the people. This is a very beautiful and amazing park .this park is well maintained by the Chandigarh administration. It is a great place for morning and evening walks. Here the recommendation is to have the lightning at night stuff .his park is a well-maintained park with the greenery. This place is very safe for kids to play in this park. This park has topiary animals, flowers garden, numerous benches. 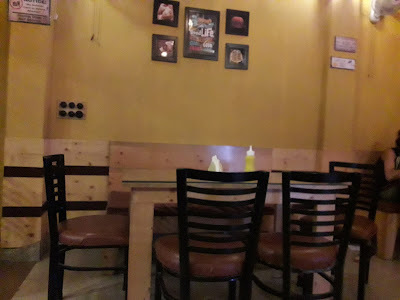 It is located in the sub-city center of Chandigarh in sector 35A. This park is open 24 hours. One can come at any time to spend there time. Chandigarh has lots of gardens which make the Chandigarh city more beautiful (this city have minimum 100+ gardens ) and this city is the youngest city in India. The garden of the fragrance is located to the south of the hibiscus garden. This garden is very popular and it is one of the most wonderful picnic spots. Jogging and the walkings track are available for those people who are an early riser in the morning. And evening walks in the beautiful greenery environment .there are several people who visit there in daily routine to have fun with there friends, for exercises like yoga, running and boosting up there body. The plant seen to be here are mottia, Raat ki Rani, Mehndi, Champa, haar Shrinagar and will found many different kinds of flowers. This garden must be visited by all those people who want to visit and travel in Chandigarh. 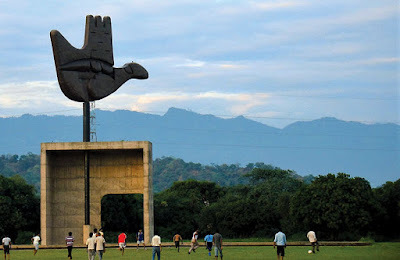 I hope you like my blog "Chandigarh" city forever attractive places" (India). 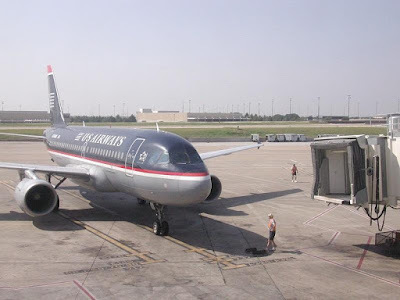 "Travel tips with my eyes", always will be written tips for travel. please subscribe, comment and share "travel tips with my eyes".